He’d travelled the world as a fearless Fleet Street reporter, but Andrew Alderson embarked on his first cruise with trepidation. Would Viking Sea win him over? When Alfred Hitchcock visited Zadar in 1964, he fell in love with the ancient Croatian port for three reasons: its maraschino liqueur, its stunning sunsets and its pretty girls. He was seemingly unmoved by the city’s magnificent medieval cathedral, its beautiful churches, its Roman ruins and its cobbled streets. 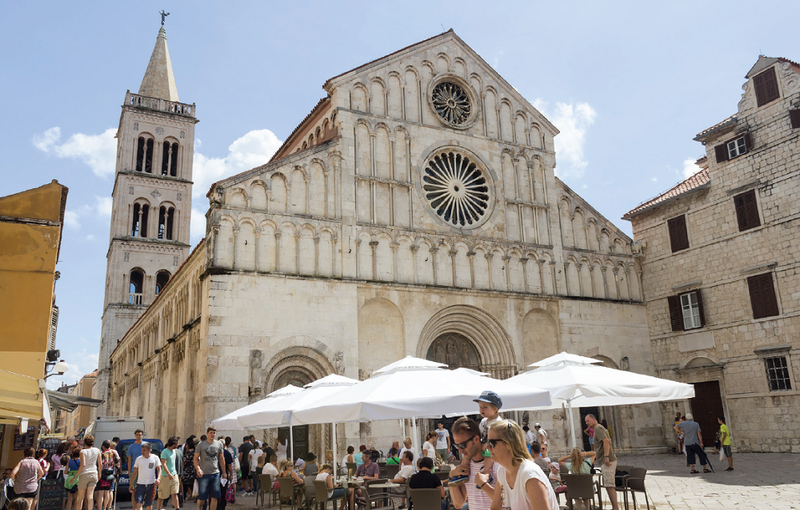 But if the Master of Suspense were able to return to Zadar today, he might be intrigued by a newer attraction – one that could easily provide the sinister soundtrack for a film. Situated on the Riva, a picturesque seafront promenade, is a unique, architect-designed “sea organ”. This arrangement of acoustic tubes, buried beneath large stone steps, bellows out a mesmerising “song of the city”, the notes constantly changing with each wave and breath of wind. It’s an effect that my wife Claire and I could hear long after we’d boarded 0ur ship, with Zadar slowly receding in its wake. Our four-day holiday had begun 48 hours earlier in the warm autumn sunshine of Venice. It wasn’t our first visit to this most beautiful of cities, but fully a quarter of a century had passed since our last. Our elder daughter had been approaching her first birthday then, as we carried baby and buggy over the Rialto Bridge, the Bridge of Sighs and any number of other bridges that criss-cross the famous network of canals. This time, as I sat outside Café Lavena sipping a chilled beer and listening to the resident classical quartet, our view was of bustling St Mark’s Square and its ornate basilica. It struck me that never, in all those intervening years, had I enjoyed a drink in a lovelier setting. 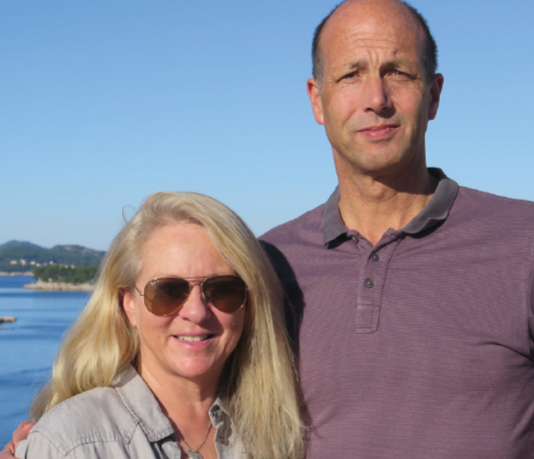 Claire and I – let me admit it now – embarked on this trip as cruise virgins, and despite having visited more than 40 countries for work and play, I stepped aboard Viking Sea rather nervously. Would people keep telling us what to do? Would the ship feel crowded and cramped? Would the food be dull and the restaurants too formal? My first worry evaporated within minutes of stepping aboard and finding that we were free to do as we pleased for the rest of the day. That meant another afternoon exploring those magical canals, the only proviso being that we return to the ship by 10.30pm as she would be sailing at 11. My second concern was dispelled as soon as we entered our cabin (or stateroom, as I soon learned to call it). Far bigger than I was expecting, it was wonderfully comfortable, and the icing on this large cake was our king-sized bed (not to mention a huge flat-screen TV, wi-fi, mini-bar and fluffy bathrobes). Space, in fact, was the overriding impression everywhere on board. Even with 950 guests, the stylish communal areas never seemed crowded, and at times we had the vast swimming pool and sunbathing area entirely to ourselves. But the real surprise was the food. The quality on offer at every restaurant we tried – a different one each night – was simply amazing. The ship’s Italian restaurant, Manfredi’s, probably edged the award for Dish of the Holiday, in a photo-finish between my lasagne-to-die-for and Claire’s divinely tender marinated sirloin. With its open kitchen, Manfredi’s has real atmosphere, too, and we were fortunate enough to be given a “window seat” so that we could also watch through our porthole as the waves crashed below. As for formality, I needn’t have worried. 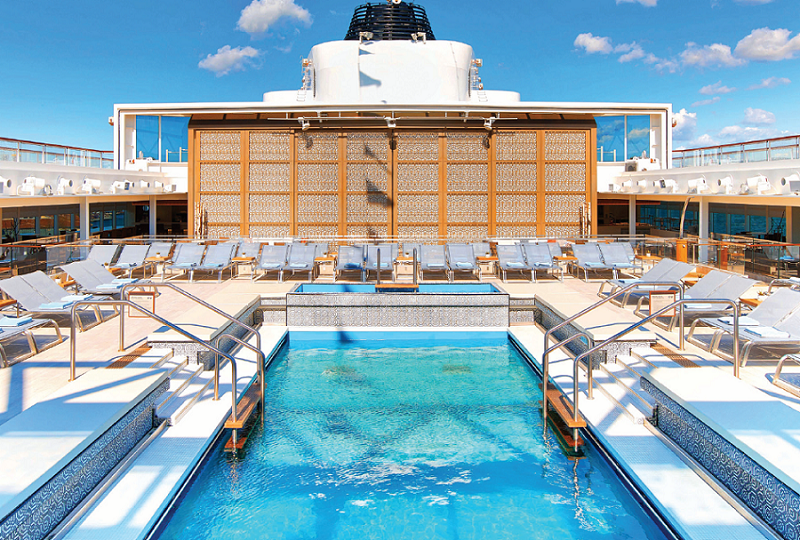 We soon learned that Viking’s cruises are renowned for their relaxed atmosphere. There wasn’t a tux or even a tie to be seen, and the “elegant casual” dress code (collared shirt and trousers for men) suited me down to the ground. On the first night of our holiday, Claire and I decided that the secret to successful cruising lay with finding out everything that was on offer the next day and then doing as much, or as little, of it as possible, depending on how the mood took us. As a veteran of Fleet Street, I loved the fact that our cruise operator published a newspaper – the Viking Daily – keeping us up to date with every activity on offer over the next 24 hours. Our mood on our first morning was distinctly lazy. We spent three hours lying beside the swimming pool on the upper deck, making a gentle start on our holiday reading (I thought I was Britain’s greatest dog-lover until reading Monty Don’s Nigel: My Family And Other Dogs: then I realised that, compared with the author’s passionate adoration of man’s best friend, my own was distinctly second rate). The only decision we faced was whether to head to the swimming pool before – or after – the hot tub. Feeling a little more adventurous by the afternoon, we left our ship for a two-hour guided tour of Koper, a Slovenian port with a rich architectural legacy that dates back to its days as a capital city under the mighty Venetian Republic. Back on board I was surprised – but delighted – to see a friendly face. As a reporter, part of my beat was the Royal Family, so I immediately recognised Patrick Jephson, former Private Secretary to the late Diana, Princess of Wales. Patrick was a good contact of mine both before and after the Princess’s untimely death in 1997, and I was happy to find that he was on board to give talks – on both his career in the Royal Navy and his life as the Princess’s most senior aide. For two of our three nights on Viking Sea, our evening began in the ship’s theatre listening to Patrick’s wit and wisdom, and his unique insight into royal life during the 1990s when the Waleses’ difficult marriage finally came to an end. Claire arrived slightly late, but dreamily calm, for the start of Patrick’s second talk, having enjoyed a deep-tissue massage at the Scandinavian-themed spa (highlight: a “snow grotto” with real snow). During the first three days of our holiday, we visited no fewer than three countries: Italy, Slovenia and Croatia. That might sound a little hectic, and it would certainly be madness to attempt it by any other means of transport. But when you cruise, travelling as you sleep, such an itinerary is not only achievable but hugely relaxing. And we found it so exciting to draw back our curtains each morning, wondering what view would be there to greet us. 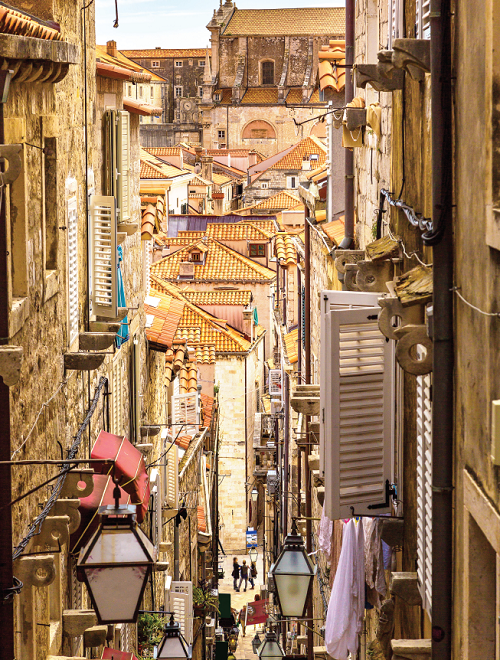 While Venice had barely altered in a quarter of a century, Dubrovnik, our final port of call, could hardly have changed more. Our visit came almost 25 years to the day since bombs first fell on the city as part of the disintegration of the former Yugoslavia. 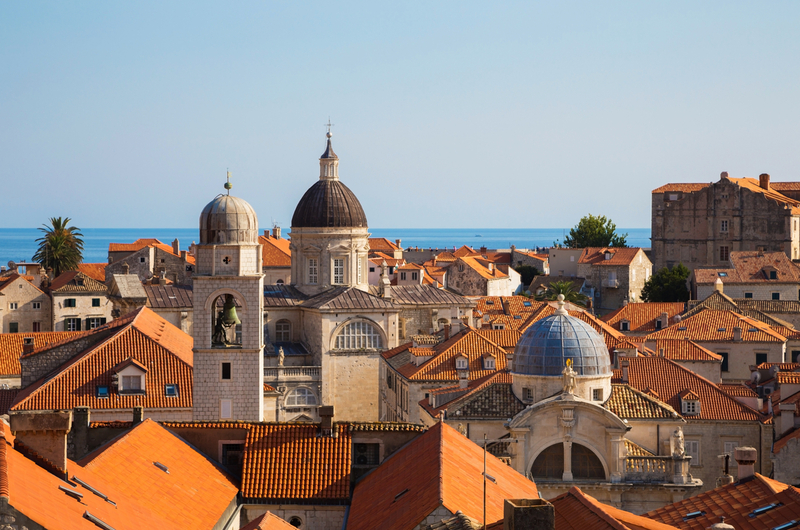 Today, happily, the fortified walls and red-tiled roofs are fully restored, and the “Pearl of the Adriatic” is back to its magical best. Sadly though, we were only booked in for four days of our ship’s ten-day itinerary and we now had a plane to catch. I longed to stay and see more, as it was already clear why Dubrovnik is a UNESCO World Heritage Site, and why George Bernard Shaw dubbed it “paradise on earth”. Come to think of it, that’s a description that could apply to many places we visited – and even to Viking Sea herself. 10 days aboard Viking Sea from Venice to Athens via Koper (Slovenia), Zadar (Croatia), Dubrovnik, Kotor (Montenegro), Corfu, Olympia and Santorini, price £2,815 per person, based on two sharing a Deluxe Veranda cabin, departing 17 March 2017. The fare includes all meals, wine and beer with lunch and dinner, one daily city tour excursion, 24hr room service and ex-UK return ﬂights and transfers.